These days, one doesn’t have to venture uptown to take advantage of viewing world-class art. Lower Manhattan is a neighborhood where Keith Haring, Mark di Suvero, Isamu Noguchi, Jean Dubuffet and others are on display outdoors and free for the viewing. 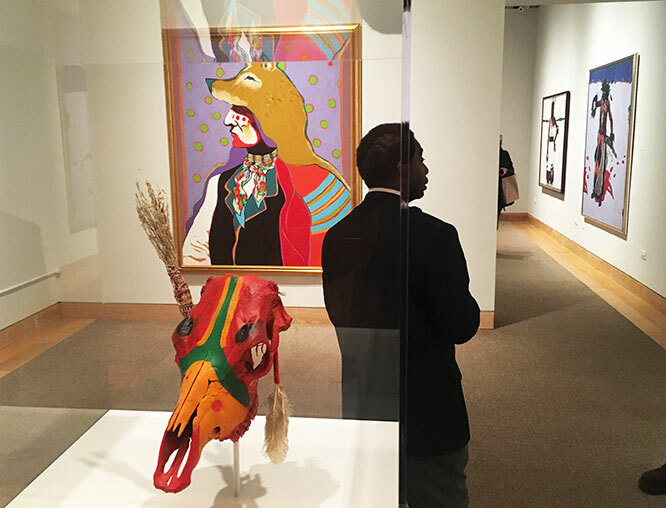 Add to this art-filled environment, a remarkable new show of painting, poetry and music by the largely unknown Native American artist T.C. Cannon that fills the East Gallery walls of the Smithsonian’s National Museum of the American Indian at Bowling Green. 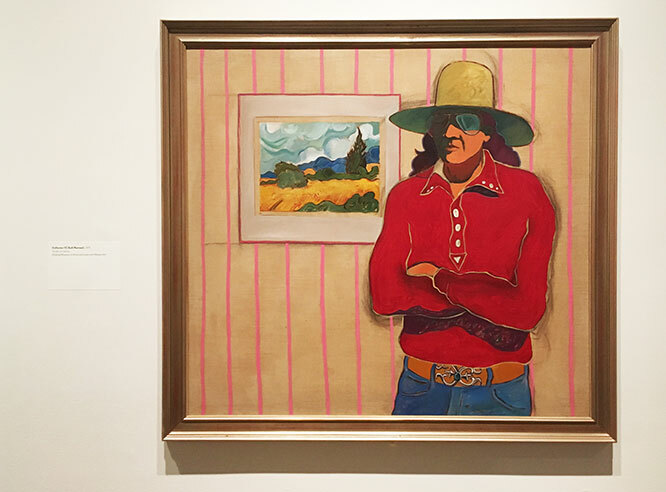 After graduating from the Institute of American Indian Arts of Santa Fe in 1964, he enrolled in the San Francisco Art Institute but left after two months and enlisted in the army. As a paratrooper in the 101st Airborne Division, he was sent to Vietnam during the Tet Offensive. He earned two Bronze Star Medals during his tour. 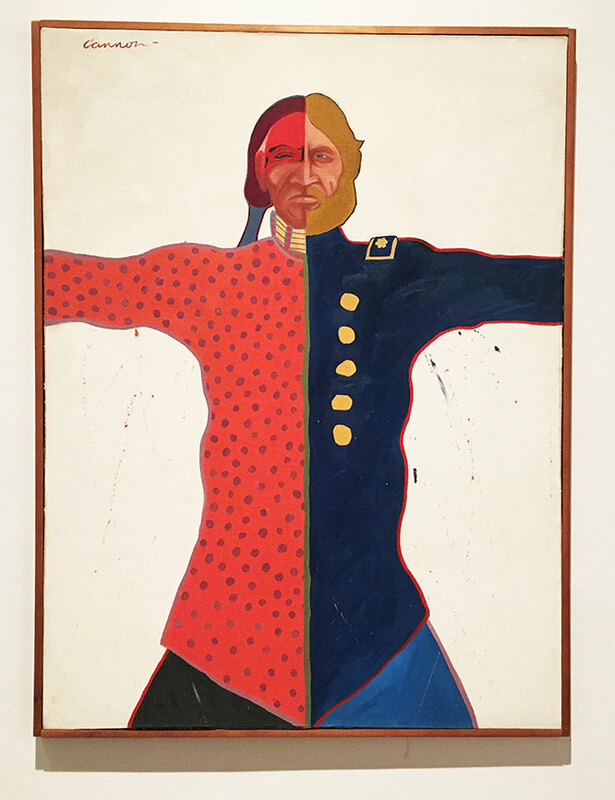 Cannon’s work as an artist, poet and musician reflects his cultural heritage, his experience as a Vietnam War veteran, and an observer of the turbulent social and political period during which he lived and worked. Cannon observed American history and popular culture through his Native lens and created an entirely fresh visual vocabulary. 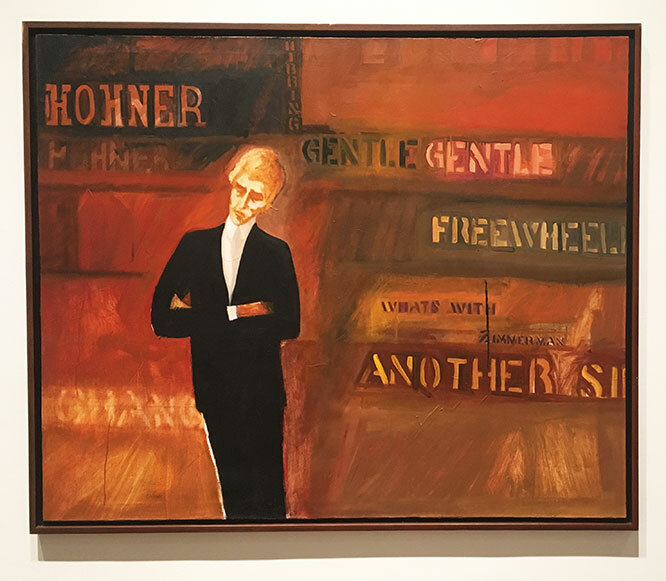 The space for the exhibit is warm and inviting and rich with visual artwork as well as moving poetry that attests to this artistic genius, whose life was cut short when he died in an automobile accident southeast of Santa Fe on May 8, 1978. The show runs through September at the National Museum of the American Indian at Bowling Green. Admission is free.